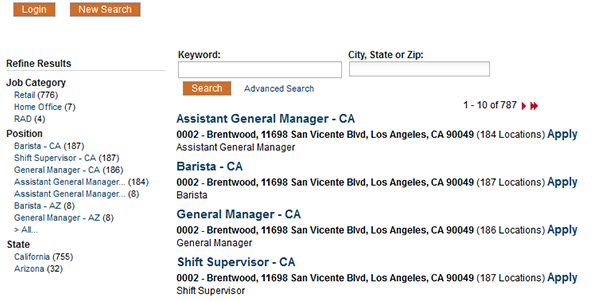 The Coffee Bean & Tea Leaf job application can be accessed via the company’s careers site. At this time you can only apply to one location (at a time). If you’re interested in applying to more than one location contact the first location that you submitted an application to and ask for them to “pool” your application (to other locations). The guide posted below has more details regarding the online hiring process. About the Company: The Coffee Bean & Tea is an American chain of coffee/tea shops based out of Los Angeles, California. Nearly all of the chain’s locations are independently owned/operated (as franchises). The company has more than 1,000 locations throughout the world. Step 2 – Press the button as outlined in the below screenshot to go to the next step of the process. Step 3 – Enter a keyword or location into the search form and hit the “Search” button to view the listings. Step 4 – Click the link of the job that you want to begin the online hiring process for. Review the job description and then press the “Apply” button to go to the next step. Step 5 – Select your locations and then press the “Next” button. 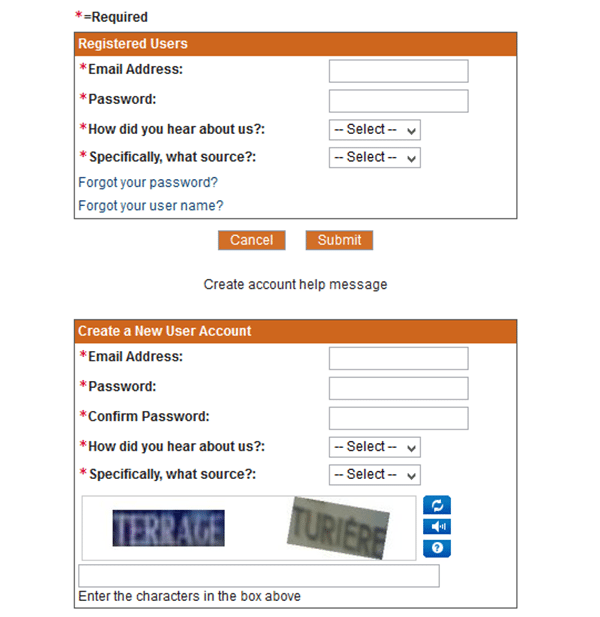 Step 7 – Submit the required information for each subsection of the online application. After every section/subsection has been fully completed you will be able to submit the application for processing. Note: The minimum age of employment is 16. After your application has been submitted you will be contacted within a few business days (if you meet the location’s requirements).